Exploring the best spots in Europe often means cheap flights on Ryanair, heading off the main path or simply finding yourself somewhere totally unexpected. Some people call that inconvenient. I call it winning. I love hunting out the hidden gems of Europe, the places still waiting for the crowds to descend and those destinations that unexpectedly capture your heart. If you are like me and would rather point to a random village called Arisaig on a map and head there on a whim, then this list, my friends, is for you. The other magical thing about exploring Europe is how easy it is to get between the smaller destinations thanks to the extensive bus and rail connections available, especially given buses can sometimes be the best way to reach the hidden gems of Europe. While the Algarve is now famed for its sun-kissed beaches and pristine golf courses, you don’t have to stray far to find some of the Algarves best-hidden gems. The two municipalities of Lagoa and Silves sit alongside each other and provide the perfect mix of history, culture, cuisine and those sunny all year round beaches that gained the coast its fame. Silves was once the capital of the Arab kingdom here in the Algarve, and its well preserved red castle, perched above the colourful streets and squares below, is still the largest in the region. Surrounded by green hills and orange trees, Silves town has an impressive local market, an ancient Mosque (converted to a church) which boast both Gothic and Baroque features and plenty of traditional coffee shops lining its small cobbled streets. It feels a world away from the bar filled roads at the beach resorts. Lagoa has grown hugely in the past 30 years and has become one of the most respected wine regions in Portugal (read: vineyard tasting/drinking is compulsory). The postcard-perfect village of Carvoeiro sits alongside that of Ferragudo, still very much a local fishing village. 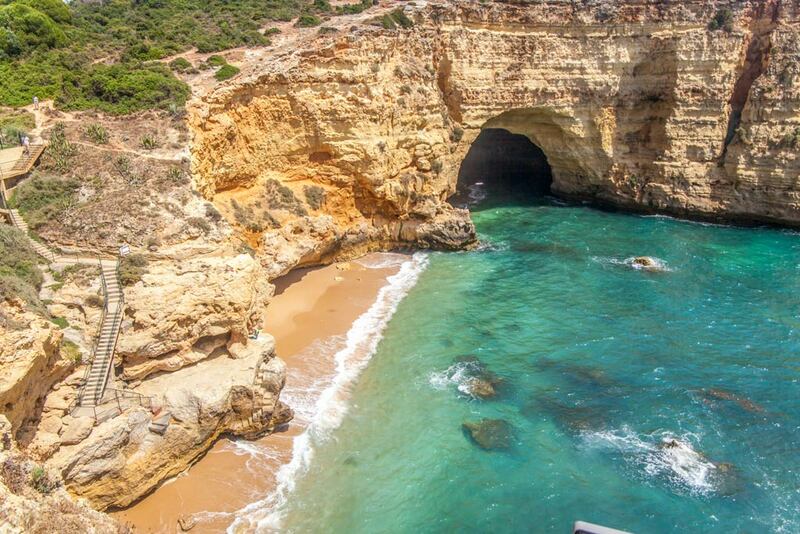 With a clifftop boardwalk, plenty of beaches and the famous Benagil caves, these two destinations provide the perfect mix of culture and relaxation in the Algarve. The Silves Medival Festival, from the 10th to 19th August will take the town back in time while a new craft beer/winery/restaurant/accommodation combo, Quinta Dos Santos, in Lagoa has just opened and the old Adega cooperative barn has converted into a funky gallery come wine sample venue. 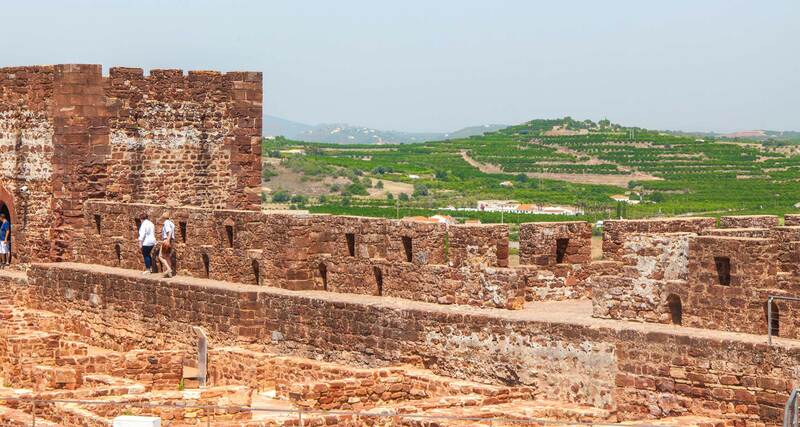 Silves is around one hours drive from Faro airport. It’s also served by an out of town train station connecting to Lisbon and the local lines, whilst busses offer access to Lagoa from the capital and across the coast. 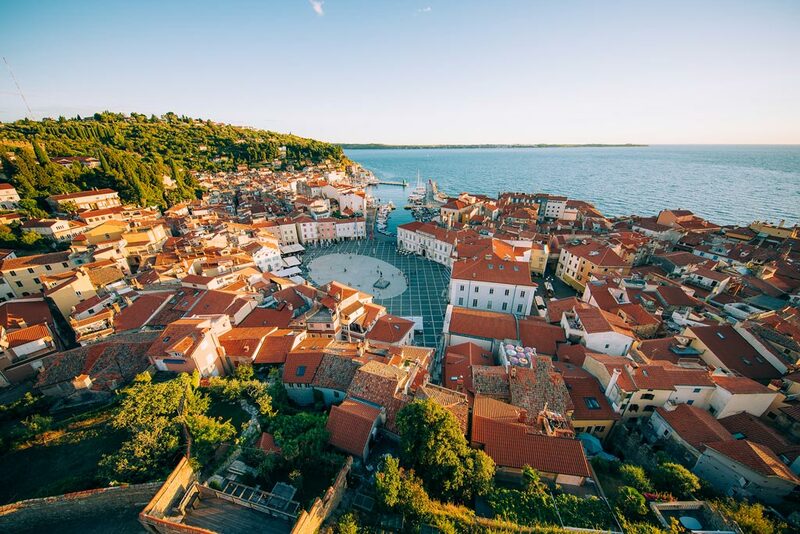 One of the best spots in Europe, Piran is sometimes called the Venice of Slovenia, partly due to its enviable position on the Adriatic coast. The city itself is a mix of red rooftops and white houses, and it provides a more relaxed alternative to other Adriatic destinations such as Dubrovnik. Being part of the small Slovenian coastline the beaches are popular, and with the outstanding Portorož beach not far away, its another great mix of history and sun loungers. The countryside around the city feels completely different, with vineyards, olive groves and an old-world vibe, day trips are accessible from this base in small, but perfectly formed Slovenia. Slovenia is not going to be a Europe hidden gem for long; Lake Bled has already become a star. A new mobile app in the city, Nexto, uncovers the Legends of Piran and allows you to explore the city uniquely and see its history through pictures and text by pointing your camera at buildings around the city. You can drive from the capital Ljubljana in 1.5 hours. Alternatively, fly into Trieste in nearby Italy and take the scenic 30-minute ferry or drive. In the north of Albania, you can find a hikers and nature lovers paradise. The one day hike from Valbona to Thethi in the Accused Mountains is just breathtaking and for now remains a pretty secret spot in Europe. Lake Komani shouldn’t be missed before or after your outside adventures, depending on which direction you come from. This relatively flat lake made me think of Norway, cutting through the valley with the rising green cliffs on each side. You can directly take the passenger ferry to go across to the other side but for some real R&R book a stay at the stone house in the middle of the lake, free from electricity but complete with homemade cheese, honey and liquor. The day tours provided by Molla Molla also arrange excursions and stays at the farmhouse, you can read more about Lake Komani here. Albania has been billed as Europes next big beach destination, so get in quick before the norths secrets get discovered too. The International Airport of Shkodra is also due to open soon which will increase visitors to this currently tranquil destination. Lake Komani is around a 4-hour drive from both Tirana airport and also Podgorica, the capital of Montenegro. This seriously underrated hidden gem in Spain was my final trip of 2018, and what a place it was to discover. While most online discussion around this medieval city is on the Casa Colgados, the hanging houses which seem to dangle off the side of the rock, the whole old city is magical and deserving of its UNESCO world heritage status. Perched upon a rock and with a history that can be traced back around 1300-years, the colourful houses, castle ruins, and cathedral packed with architecture spanning through various time periods come together to provide another world like feel. Stepping into Cuenca is like stepping back in town, and the surrounding nature of the karst mountains, coupled with the crystal blue river provides an awesome adventure playground alongside your city break. How long to spend in Cuenca? 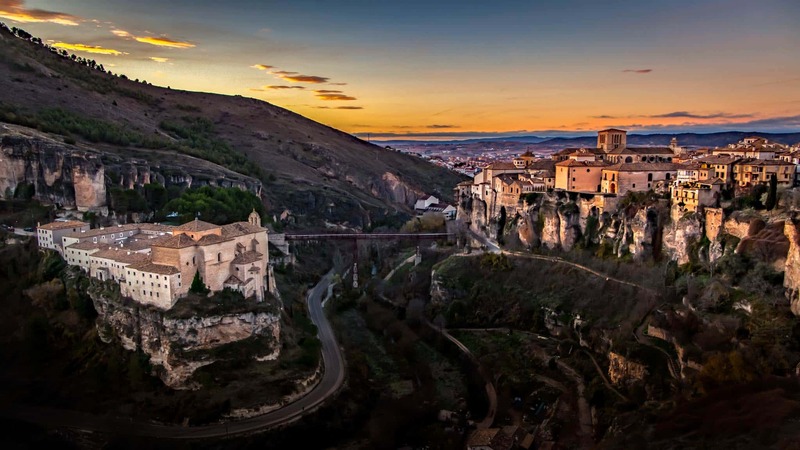 While most people would visit Cuenca as a day trip from Madrid, this hidden gem in Europe is best enjoyed at sunrise or sunset in my opinion. Make it a two-day trip and you can also see the enchanted forest made naturally of the limestone rocks. How to get to Cuenca? You can quickly get to the out of town station of Cuenca AVE (Fernando Zobel) in under an hour by high-speed rail from Madrid. A slower train service goes directly to the new part of the city. If you want to know just how much I fell in love with Camogli, then read this. The smaller and lesser known neighbour to Portofino and not far from the rugged landscape of Cinque Terre, Camogli has it all and in the off-season, it is still a relatively undiscovered gem compared to the more famous destinations around it. This traditional fisherman town with its colourful houses, long history, impressive hotels, small bakeries and laid-back vibe is perhaps my favourite place in Italy and given what an amazing country it is, that is no mean feat! If you do visit Camogli then be sure to check out the historic and impressive Cenobio Dei Dogi hotel. From Genoa airport it’s around 45 minutes by car or train. From Kotor to Durmitor National Park, Montenegro has been wowing the international tourism stage more and more each year. 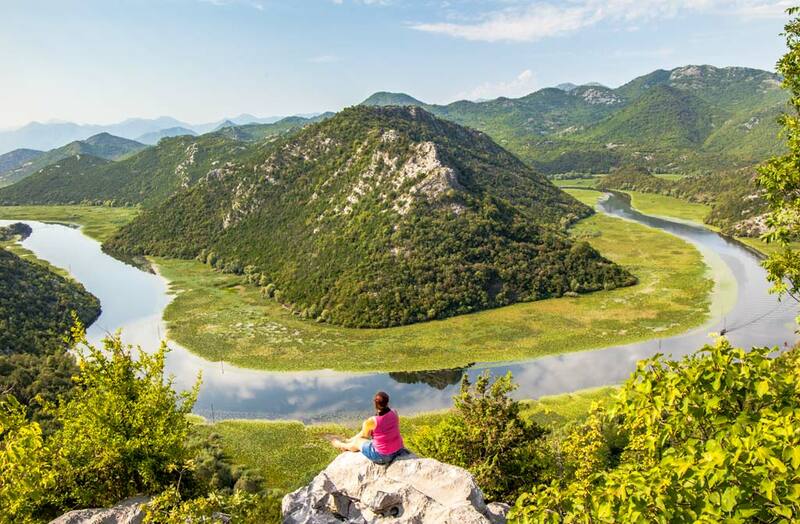 In the south of the country, and shared with neighbouring Albania, Skadar Lake National Park is one of my favourite lesser-known gems in Europe. Designated on the Ramsar Convention list of Wetlands of International Importance this sprawling park is home to around 300 bird species, 40+ fish species and whats more, many of those are found nowhere else. Put on some hiking shoes, admire the views and take a small wooden boat across the lake. This is mother nature doing her finest work. Some say it’s great news, others are crying out at the build. A new, and rather large eco-resort, Porto,is being constructed on the lake and local experts are concerned it will harm/scare off much of the local wildlife, so get in a visit now. I personally think it’s a shame to build within the park, there are some adorable little local homes for rent on AirBnB if you want to stay amongst nature on the edge of the lake. From the capital airport in Podgorica, it’s around a 30-minute drive to the edge of the park. Before my two visits to the city I pictured Luxembourg city as a mix of modern architecture, men in suits and fat wallets splurging on champagne and yes, that’s true. But there is another side to Luxembourg city too. Cycling is a big deal here, and when you visit and see just how green the landscape is you will understand why. The old town is a charming mix of stone houses, steepled churches and small canals, all constructed on various levels which makes it perfect for the ‘gram. The food and drink scene is also second to none and with historic buildings and castle converting into restaurants and hip bars and microbreweries on the rise, it’s a great romantic long-weekend break that combines old and new in perfect measures. The recently opened Ramborn Cider Haff is the first Luxembourgish cider producer here, and last year they opened up a visitor centre on the new farm offering tours and tastings. Flights to Luxembourg airport are becoming both cheaper and more regular, it’s a short bus or taxi ride into the city. 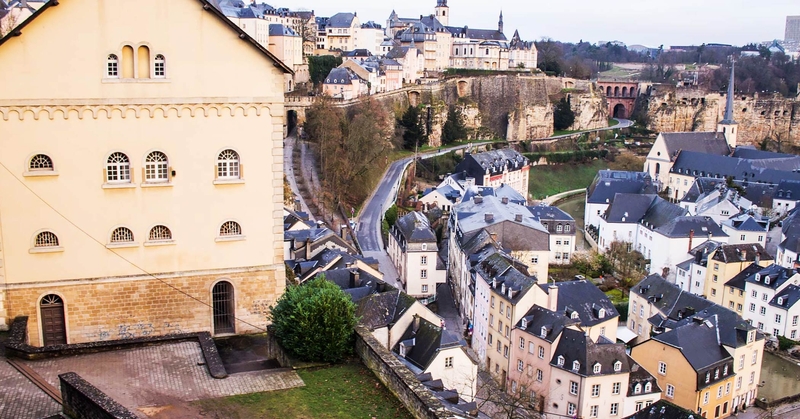 Read: Luxemboug, the most underrated country in Europe? With more Chateaus than you can shake a stick at, fresh crisp wines ripe for tasting and some fantastic cycle paths, The Loire Valley is an ideal mix of culture, history, fresh air and art. If you want a trip to Europe which combines all of that with the incredible cuisine of France, here is a winner. From April to October, a light festival runs which illuminates some of the star Chateaus throughout the region in nighttime projections. 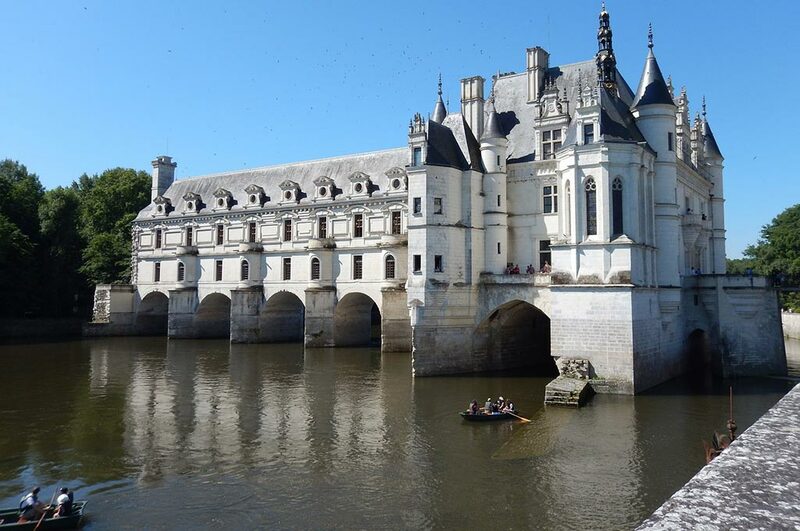 In Chenonceaux (pictured) you can boat underneath impressive architecture, while the old world charm of Saumur is postcard perfect at night. If you swing by Vouvray, go sample my favourite Chenin Blanc at one of the vineyards. Cycling here is the dream, and the local trains make it easy to take a break from the bike when you’ve sampled one too many wines. Is there ever a bad time to go wine tasting? Alternatively, start planning your visit for 2019 when the Loire Valley, often considered the birthplace of the renaissance will be celebrating 500 years with plenty of exciting events. The TGV offers regular and high speed (1 hour) connections to Paris while Tours airport provides an international gateway. Once in the Loire Valley take advantage of the train/bike system where you can board trains with bikes for free with the assistance of the train staff. To be honest, I could likely include the whole country on this list. Often misunderstood and near always underrated, BiH is one of the most beautiful countries in Europe and it stole my heart. A road-trip is the best way to explore, with incredible blues and bridges all over the country. Get away from Mostar, and to some degree Sarajevo, and you have unlimited hidden gems sans crowds, even in the summer months. 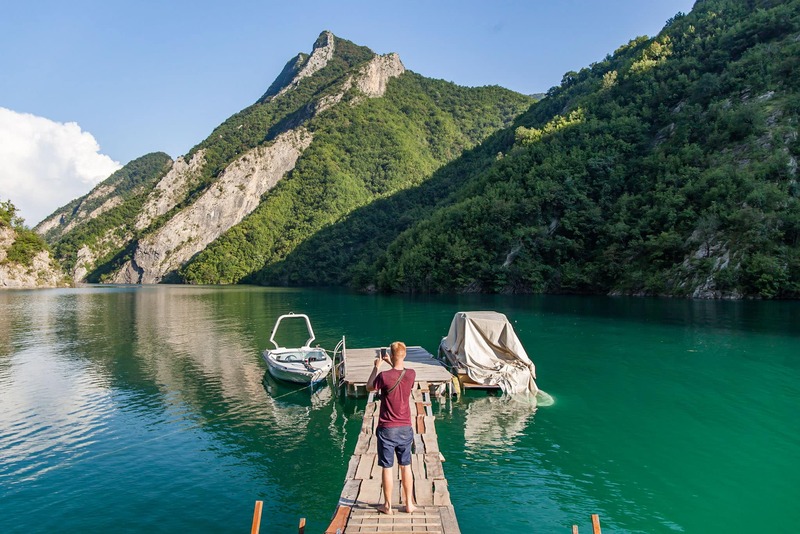 This particular lake, which was a result of man-induced flooding, is part of the Prozor region and it’s the perfect place to re-connect with nature. Visit the small village of Ripci before continuing to explore the Monastery at Šćit in the middle of the lake. The views looking down on the lake are incredible so find a tiny guest house and book in to this beauty for a slice of mother natures finest. New flight routes are now serving Sarajevo which makes it much easier to get in. Various new tour companies and adventure sports activities are also launching as the tourism market grows. Go and enjoy BiH while it remains relatively untouched. Around a two hour drive from Sarajevo, but be sure to allow time to visit, or stay in Konjic, and for all the amazing nature you will want to stop and admire. 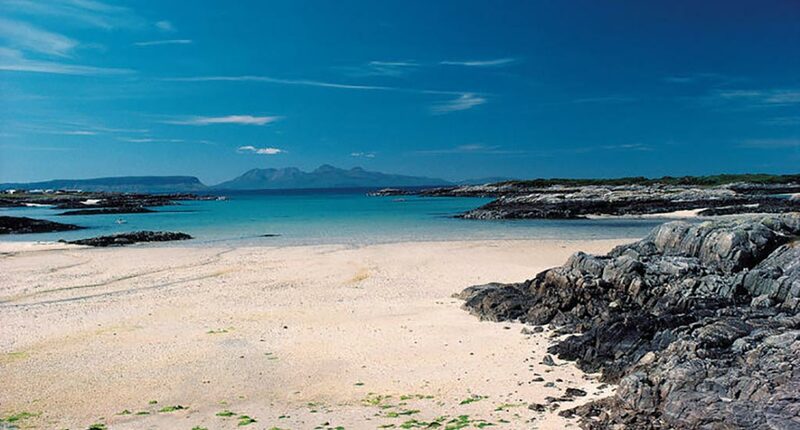 When you think of Scotland, it likely isn’t beaches that come to your mind. With the Atlantic Ocean on your doorstep, views across some of Scotlands smallest islands and azure waters against silver sands, this is a true hidden gem in Europe. The film sets of ‘Highlander’ are just as impressive in real life and nearby Mallaig is the starting point for ferries and the terminus for one very famous train journey. On the west coast of the Highlands, you can get in some great R&R and enjoy the slow village pace here before continuing on your Scottish road trip. Arisaig is a great spot to hire a Kayak and get that fresh Scottish air into your lungs on the water. A tiny B&B with just a couple of rooms, ‘Fair Winds‘ in Morar with windows looking across the sands was one of my favourite places I got to call home for a night last year. As the Isle of Skye continues to battle its overcrowding issue in the summer months, head to The Silver Sands and Morar before taking the ferry from Mallaig to some of Scotlands smallest islands: the Isles of Rum, Eigg and Muck for a different vibe. You can get here via road tripping after flying into either Edinburgh or Glasgow, although some may prefer to take the Jacobite train to Mallaig from Fort William. This is basically the Harry Potter train and another of the worlds great train journeys. While the fairy-tale like Pena Palace, with it’s red, blue and yellow facade has become a hit on the ‘gram and there is no denying Sintra is shooting in popularity, the sheer range of palaces, castles and estate houses here that go unexplored is criminal. While most people will simply take a day trip to Sintra, by staying one or two nights you will be able to explore much more of the park, especially if you opt to hike the hills rather than make use of the bus. The impressive Quinta Regaleira gardens, with their underground tunnels and water ponds, and the Palácio de Monserrate, a beautiful building with far fewer visitors, are highlights you shouldn’t miss. Many of Europes best hidden gems can be found in Sintra, and by staying the night you will see it minus the day trippers at its most peaceful. With some heavy investment going into restoring many of the closed off rooms over the past couple of years and new exhibitions opening, now is an ideal time to visit. Try to visit outside of summer when it is much quieter in the park. 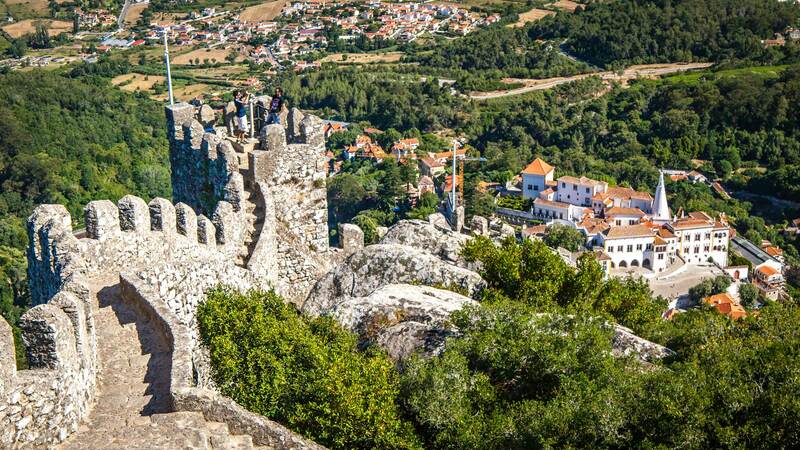 Sintra is around 45 minutes by train from Lisbon. 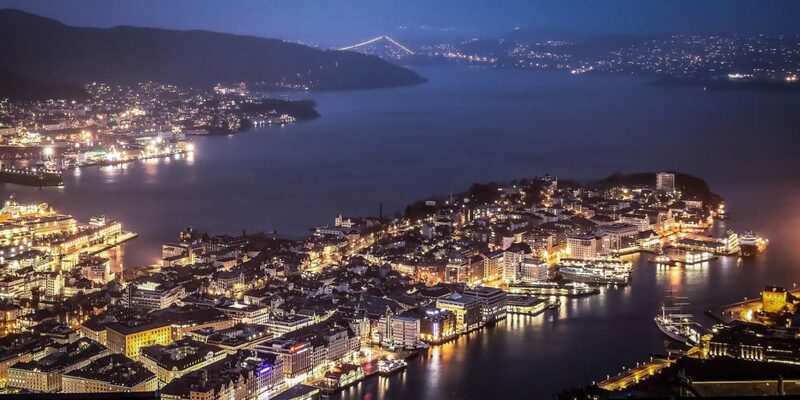 One of the first places I travelled solo, Bergen always brings back happy memories of taking the photo above from the top of the cable car stop. Shortly after, my tripod snapped from the freezing cold. As well as the funicular, the colourful food and shopping area of Bryggen is a must but the real magic lies in the untouched nature outside of the city. Being Norway’s second largest city it’s likely a push putting it on a list of Europe’s hidden gems, but with incredible hiking trails, stunning day trips by boat to the Fjords and the Flam Railway you don’t have to go far from the city to discover some. Cheese. The World Cheese Awards 2018 will be taking place here on November 2nd (No, I haven’t made this up). Additionally, the Hurtigruten cruise ship is celebrating it’s 125th birthday, not that you need any reason to take this 34 port of call, 11-day journey from Bergen along the coast to the north of Norway. You can fly directly into Bergen but I really recommend taking the train from Oslo to Bergen or vice-versa. Often referred to as one of Europes greatest train journeys, the snow-capped mountain views are the best-extended movie you will ever see. This UNESCO listed town was one of the highlights of Albania for me and I quickly fell in love with the wide windows that these white houses are famous for. Divided into old and new parts, the city received its current name during it’s Ottoman rule and the ranging architecture and historic buildings around the city are a testament to its history. If you spend the night here, which you should, check into Guest House Kris where you can actually sleep in the walled castle looking down on the city. The new town also had an infectious buzz to it and feels completely different from the old stone buildings. With a buzzing plaza along the waterway, it’s a great place to grab a beer, some Cevapi (local sausage dish) and people watch or make conversation with the locals. 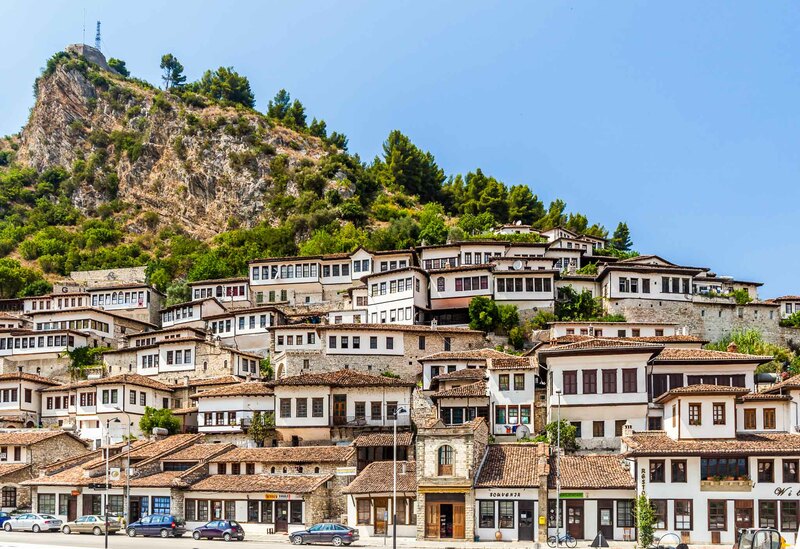 Berat is around a two-hour drive from Tirana and is also served by local and tourist buses. In the north of Croatia, Zadar on the Dalmatian coast serves up the sunny beaches that you would expect. But this city, and region, is rich in culture, history and nature in equal proportions. Walk through the old streets of the city before stumbling upon the more modern Sea Organ, a musical instrument played by crashing waves, or the Monument to the Sun, a glowing multicoloured light disk illuminated next to the clear blue ocean that draws in sun-seekers in the summer months. I personally preferred Zadar to some of the more popular spots in Croatia. Just a short journey out of the historic city and you’ll find plenty of nature, wine and local produce restaurants without the tourist vibe. In July 2017, Zadar was added to the UNESCO world heritage list so expect more people to start visiting here, especially as the world realises just how hectic Dubrovnik has become. Get your slice of the Adriatic without being stampeded by GOT fans. Zadar has its own international airport, though if you are coming to or from other parts of Croatia, the ferry services plying the coast are a breathtaking way to arrive and see more of the country. Whilst Prague may be one of the hottest must-visit cities in Europe at the moment, the historic and impressive city of Kutna Hora is still a relatively under the radar gem. It makes for a great day trip from Prague although spending a night there is never a bad idea. 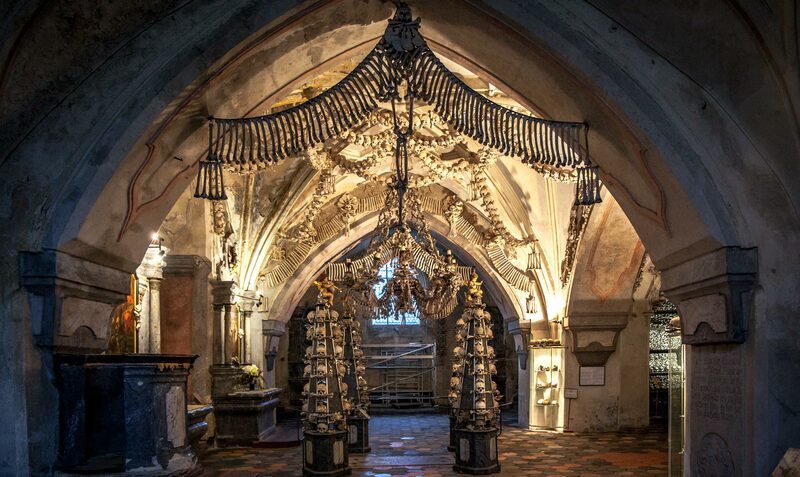 Discover the cobbled streets, grand architecture, an incredibly impressive cathedral and pay a visit to the unique ‘Bone Church’ which is, as you might have guessed, adorned with bones. With lush woodland surrounding the city and plenty of Pilsner on tap, it’s a perfect slice of Bohemia without the crowds of the Charles Bridge. With the establishment of Czechoslovakia in 1918, this year marks the 100th anniversary of the nation and plenty of celebrations are planned across the country. Trains from Prague take around one hour. In the east of Germany lies a whole host of European hidden gems, buried in forests and lush landscapes, there is an eclectic mix of art, nature and history on offer in this compact region. Dresden, the capital of the region and main gateway will wow with its striking architecture, much rebuilt after WWII, but head a little further and you’ll be even more rewarded. 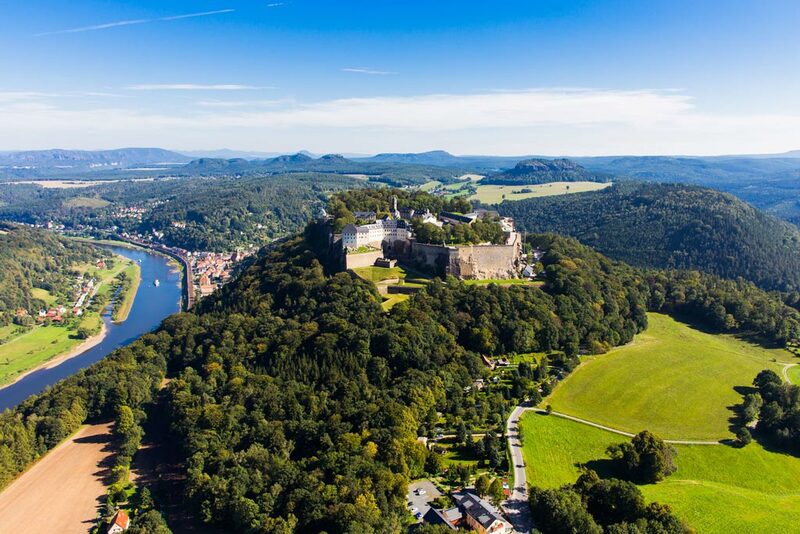 The Königstein Fortress, perched on a hilltop outside the city is an easy day trip to appreciate the contrast between city and nature. Further afield, Saxony National Park is full of towering rocks and hikers are rewarded with historic stonework bridges built in. Adorable Bad Schandau, a small spa town, is a great end of trip detox before returning to the real world away from Bohemia. Known as the Culture Capital of Germany, for those who love the arts, especially classical music, opera and theatre, this is a must-visit destination in Europe. For those more into their Glühwein, Saxony is also home to the oldest Christmas market in Germany. Saxony seems to be continually evolving and Dresden renovated both an old coal plant and a former GDR building to house the arts last year. Chemnitz is also celebrating its 875th birthday so be sure to swing by and join the celebrations. Saxony is easily accessed through Dresden airport and the great public transport across the region means you don’t need a car thanks to the busses and trains available. 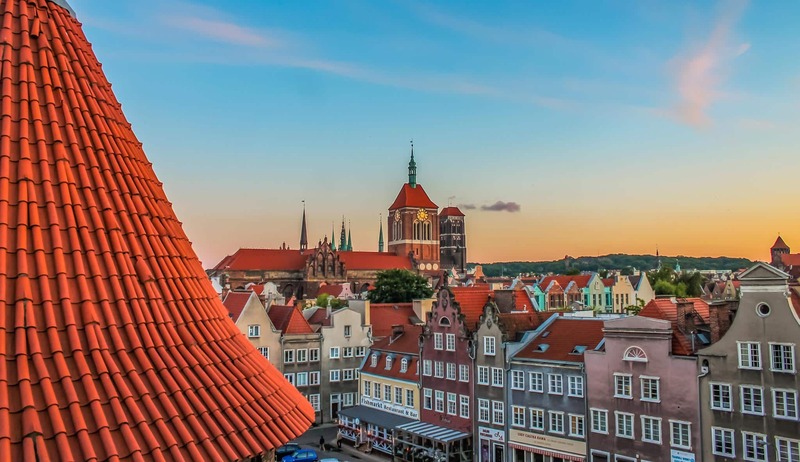 Gdansk has the colourful houses, the stone paved streets and the affordable prices. It also has two other cities nearby (it’s known as the tri-city area) making it a great place for a short break in Poland. Gdansk itself felt like a really vibrant city with trendy bars and cafes sitting alongside historical monuments. There are usually cheap flights to be had here, especially from the UK, and as Poland still uses the Polish złoty not the Euro, it’s rather affordable. Sopot, the seaside city with a ridiculously long pier is perfect for taking a dip and cooling off during the summer months. People always seem surprised when I start talking about Poland as a beach destination but there are plenty more surprises to discover here. The airport sits in the middle of the tri-city area and it’s quick and easy to transfer to any of them. A train connection runs to other main cities throughout Poland. When you mention Majorca (Mallorca) to most people, they will either be thinking of the popular spot of Palma or the drunken shenanigans at the resorts of Magaluf. But there is a whole other side to this island. 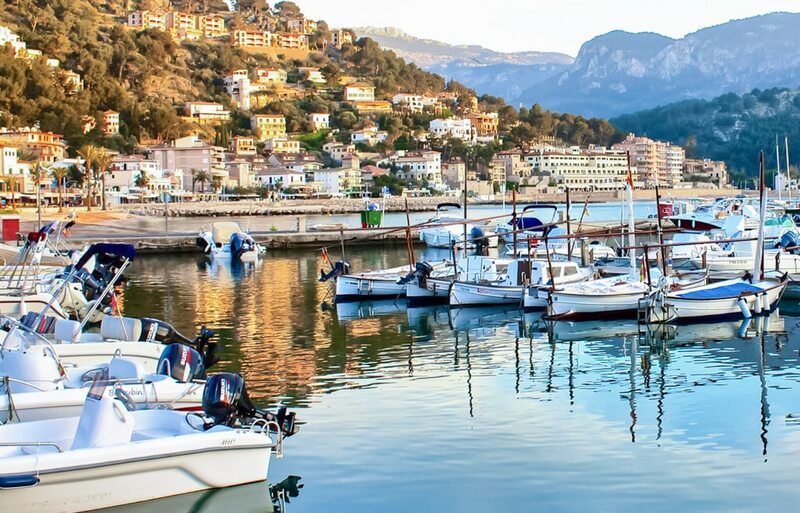 Soller is a world apart from the party madness and the port with its whitewashed houses, boating harbour and a small town is completed by great restaurants and bars with a slower pace of life. It is also a great starting point to trek the impressive old path through Sa Mola Mountains. If you want to know more about this quaint side of the Island, here is a handy guide to travelling in Soller, Mallorca. Check out my favourite suggestions of the best places to visit in Europe during the offseason. If you want some help finding cheap flights in Europe, check out my guide to Europe cheap flights here. Let me know your favourite Europe hidden gems in the comment and I’ll be sure to swing by and visit them. Safe travels! Im so glad that i stumble upon this article. Definitely bookmark this for future trips. So many beautiful places i havent visited according to your post. Thank you and keep up your good work! Definitely pinning, great pictures! Looking to connect with other bloggers and get some tips for my new site. and suddenly took me to Lake Komani.cause she knows that I love paddling board so much! How impetuous she is!! wow! The scenery of these trips is so beautiful, I also want to try these places once in a lifetime, thank you for sharing this wonderful thing. Hey love this post quick question though how do you take your pictures traveling solo? If I’m in them with a tripod, but I mainly don’t take photos of me. Czechoslovakia hasn’t been a country for quite some time now. Good pictures and lots of good destinations, though, for sure. Yup, but I think a few cities still have the celebrations I was told. 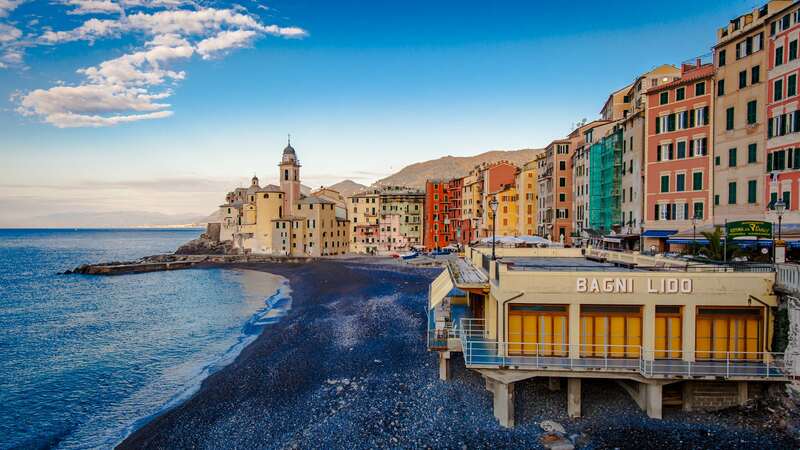 I have been telling people about Camogli since I visited this amazing place in 2014. Glad to see it is on your list. It’s a gem, isn’t it?! Lagoa beach look GORGEOUS, I’m already in love! Definitely put it in my travel bucket list for this year! I appreciate your effort. I must say that your shared all these places are the best to have great fun in Europe and tourists can enjoy some time with family and friends. I have a good experience of Lake Komani because I have been there couple of the times in my whole life to enjoy my holidays and every time had a blast of fun at this most amazing and alluring destination. These are some really beautiful places, I have been wanting to take a vacation to the UK just couldn’t make time, after seeing these images all I wanna do is pack my bags. Great post, thanks for sharing these awesome gems. I plan to visit Slovenia this summer and Piran wasn’t on my bucket list. I will surely add it now after seeing those wonderful photos of the place. The pictures are so cool ! I want to go everywhere now, all the places look different and unique. Wonderful list of amazing places in Europe. I would love to visit Skadar Lake National Park, Montenegro in upcoming days. Thanks, Dan, for sharing such a beautiful place of Europe. Thanks for this post. I’ve recently moved to Leipzig (Saxony) and it’s nice to see it appearing on some blogs now as an area to visit. Gose beer is also from Saxony and one of Germany’s largest Sekt producers (I think it’s in Weimar). I’m looking forward to getting out to the Dresden area soon, especially for a trip over to Bastei. I’m also excited to check out more of Eastern Europe, especially Montenegro, now that I’m so much closer (than Canada). I’ve enjoyed your suggestions! Beautiful! :) Pluzine from Montenegro is my favorite. All country Montenegro have beautiful nature. Wonderful! Your List is amazing. Great work keep it up. Hi! Amazing and inspirational! I live in London now but I would love to show you around Romania and see it through your lenses 😃. Keep walking! Amazing post, read it for first time and was fascinated by the photos and the true information that you don’t get very often. Nice list. Thanks a lot for sharing it with us. What a great list of places. Even though these are written for 2017, they will still be great gems in 2018. I’m heading on a Eastern Europe trip for 4 months in the Summer so unwell certainly be checking out some of these places. Thanks for the ideas ! There is a lot of wonderful places you behind in the post that I need to check out. Hi Dan, love the article. Two years ago, during a European road trip, we stayed in Schwangau, with the intention of visiting Neuschwanstein Castle. There wasn’t much there, to be honest. Just a nondescript main road. We couldn’t even find the castle when we first arrived, due to the mist obscuring it. It wasn’t until the next day when we were leaving that we saw it peeking out from behind its shroud. We both exclaimed “It was behind us all this time!”. As we were leaving we drove through the neighbouring town of Füssen. It looks like a much more characterful town and we wished we had stayed there. Next time! This year’s road trip took in Riquewhir/Colmar/Eguisheim, all stunning. Then onto Lauterbrunnen :0, Orta San Guilio – beautiful and quiet, Sirmione – hot, bustling and lovely. Postojna – dig those caves, through Istria, taking in Buzet and Motovun until we reached Rovinj, which we absolutely love. Stunning old town and the unrivaled Punta Corrente park. Our return journey took in Venice – on the cheap, there is a campsite on the other side of the lagoon where you can camp for approx €20-30 per night. Then onto Menaggio (Much nicer than Belaggio, not so geared up to selling you expensive baubles). From there to Freiburg, then over the Black Forest high road, across a bit of France, up the length of Luxembourg to Clervaux for the Family of Man exhibit. Clervaux was/is a unique place. I don’t know quite how I’d describe it. They seem to have a thing for anthropomorphic furniture and decorations. They were also pumping Yello’s “The Race” from the town’s PA system, for no discernible reason. Last stop was Bruges, but this isn’t a hidden gem, just a gem. Sounds like such an amazing trip, hoping to do it myself next year so will keep Fussen in mind as a base. And also wow, thank you for all these amazing tips of places. Moving back to Europe in 2018 so this has given me lots of new places to adventure too. Thanks for the tips Dan. I’m really hoping to get back to Croatia this summer and explore more of the Islands so will add these to my list. It’s such a beautiful country to explore. Another good Spanish town would be Lekeitio, Spain up in Basque country. An adorable little town with a beautiful beach surrounded by those massive cliffs that are sprinkled all over the Basque coastal area, plus this awesome little island right inside the bay that you can walk out to and explore. And pintxos everywhere :) We rented a car and drove all along that coast, there are so many awesome little villages and towns up there it was hard to pick one to stop at! So many beautiful places to visit! So little time… ;-) I need to finally get to Gdańsk – it would such a nice weekend trip, as I live just 3h by train from it. Some of those photos are just unbelievably beautiful! Thank you for making this list! I like this list very much! I was so schocked to see Colchester on there (or Colch as it is locally known). It’s a town I visit sometimes and is only an hour away from me so I never really saw it as a tourist spot before! Hi, glad to see the list they are all really awesome places. I like to travel to hidden places like you. Here is one, I think you would like it. “Blooming cherry tree street”, Bonn, Germany. It’s not that well known to people but it is one beautiful street. The city Bonn is okay, but this street grabed my attention. It’s best to go in the fall around August and September to get the view of the cherry trees. Glad to see Kutna Hora on your list – doesn’t get much mention and the town itself is often overshadowed by the bone church (which is honestly not fair, it’s a great little town). All of these places sound fantastic,I have visited many european countries but I see you don’t mention Greece! So much to discover there. You must visit Kalavrita. It can be reached by a narrow gauge railway as its at the top of a mountain.The train takes you through natrow gorges snd beautiful scenery until you reach the top. It’s history during world war 2 is tragic but I’ll leave you to gen up on that. I really do need to get back to Greece. I have only been to Athens and Corfu so I have a lot more to explore there. I will certainly be sure to visit Kalavrita next time, sounds like the scenery is a must visit. Love your list. The big attractions often lose to small hiden gems like this. For next edition maybe add Bohinj, Biograd na moru and Postojna. Neuschwanstein in Schwangeau is not really a town. The only thing there are the two castles, which are amazing. But the actual town is called Fussen, which is one of the most beautiful and quaint towns I’ve ever been to. It’s surrounded by amazing mountains and trees. Just make sure to get there early enough during the day because they will sell out of tickets, and close fairly early. I was only able to tour one of the castles because they sold out. But Fussen is incredible. The train ride there from Munich isn’t that long. I think it was about an hour and a half, and the ride is as equally beautiful and relaxing. It was definitely a great day trip. You should also check out many of the small towns in Turkey. It’s one of my favorite countries (I’ve been to 16 so far). On the Mediterranean there is a town called Bodrum. There is a really cool castle there I spent the whole day exploring it. My boyfriend has a house in the town next to Bodrum, called Turgetreis. It’s a small town, but so beautiful. All along the Mediterranean. You can see the Greek islands from pretty much anywhere in the town. We rode scooters around the town and through the sidewalk, ate ice cream and drank fresh squeezed grapefruit juice and ate fresh bread, walked through the bizarre. It’s the place I always think of when I want to escape life. You can take a ferry ride to any of the Greek islands. You can take a bus ride to fehtiye (the Turkish dead sea). There are also small towns next to Turgetreis that are just so small, but beautiful. With little bracelet stands and homemade dishes and locally done paintings. All the beaches along these towns are great for relaxing. You’ll never want to leave, some tourists never do. Ahhhh, I was misled into thinking Schwangau was a proper town – great to know, thank you. I’m all about castles so if there are two I’ll be a happy man. Yeah, I bet most of Croatia is much busier than I remember it being. Hof is a must if you head to Iceland! I did a Euro Trip in May-June and you hit the description of Bled and Ljubljana spot on – both amazing cities and Bled is a hidden gem. I have been to the Neuschwanstein and Hohenschwangau Castles and I stayed in the adorable little town of Fussen, Germany. It was only a short, inexpensive local bus ride away. I don’t recommend paying to see the inside of the Neuschwanstein because they don’t give you very much access and the beautiful views outside are well-worth it. I HIGHLY recommend walking around the lake (Alpsee) because it is absolutely incredible. Enjoy! THANK YOU! Love more tips like this, will have a google and try to fit them in :) Safe travels in 2017! I love that you have Carvoeiro in this list. I stayed in Carvoiero for a few days this summer and I just did not want to leave. I loved Port De Soller too but Pollenca in Mallorca is equally gorgeous and hidden. Oooh Pollenca, I missed that one but it looks lovely. And yes, it is such a beautiful places – I used to live there and worked at Mungos Bar (if you had a chance to visit) – very overdue a return trip! Meteora, Greece – beautiful monasteries – 5 or 6 of them. Easily accessible by train from Athens (4 hours). Quaint towns with fabulous restaurants, friendly people and great/inexpensive places to stay. Armona island. A ferry ride from Olhao in Portugal. A taste of paradise. No cars! These are such great tips for when we don’t have too much time to jet around the world. I grew up close to Bled and even remember ice-skating on the lake in winter, too bad it doesn’t really freeze anymore. Grmada is my favorite dessert there, a bit different and messier than the famous kremsnita ☺ Bohinj is another beautiful little area close to Bled, even wilder and perfect for a (cold) swim, while the Soča Valley is just completely stunning. Oh no, I missed a dessert?!?! Haha. Thank you, Bled is just so special I can’t wait to return and travel much more of the country. Slovenia (and Lake Bled) is one of my most favorite places in Europe and is highly underrated. I think that is going to change pretty quickly, it is getting a lot of attention now! I would recommend the Alsacian region in France, particularly the town of Eguisheim, but also Riquewihr, Ribeauvillé and Obernai. While Equisheim, Riquewihr and Ribeauvillé are beautiful but very crowded with tourists in the high season, Obernai is a bustling market town, with many nice restaurants, wine bars and little shops, as well as nice architecture. I love visiting smaller towns! Gdansk is high on my list — was just daydreaming about a (hopeful) 2017 trip to Poland. I’d also add Lviv in Ukraine — coffee and chocolate capital of the country! It also has a military themed bar and a secret Masonic restaurant. It’s on the western side of Ukraine, easily accessible from Poland and Hungary. What a fantastic list! I want to go to them all ha ha! I’m hoping we can do a Scandinavia/Arctic trip maybe next year, and Iceland will most definitely be on that list so Glacier Beach looks incredible. Love your photos – stunning & inspiring. I love Bled! The cake is a must see! Well, eat. I also recommend Beilstein in Germany – tiny and adorable and enticing. I went to Schwangau last month – book a tour so you can make sure you get in to the castle! It is one of those continents that just keeps giving for sure! AND wow, what an epic road trip that would be. Keep up the amazing work and happy travels! Love this list! Of all the towns that I’ve visited on this list, I can definitely confirm that they are worth a visit! Especially Bled!! This list also gets top marks for including Colchester – I live so close by! Thank you Tamara :) Such beautiful places to visit!